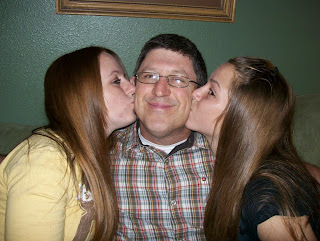 Just a cute picture of the girls kissing their daddy! And, Charlie looks so silly and happy! This and the others I took tonight will be fun to scrapbook - I'm already thinking about what to use. Tonight, was a fun night, after church we had pizza and danced and sang to a bunch of CD's. I love nights like this when we are all fooling around and having fun! Below is a layout I did for the Random Chaos Challenge. You had to use 6 different manufactures, which I did. Kind of looks like Random Chaos or should I say clutter. 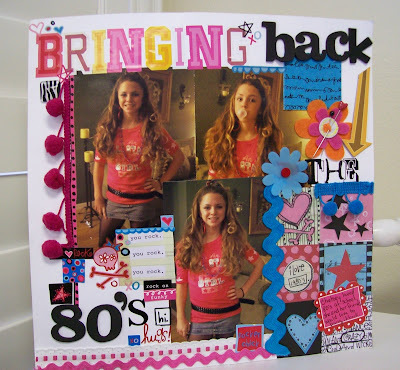 But it was fun and it kind of goes with the 80's pictures of my daughter from 80's day at school. 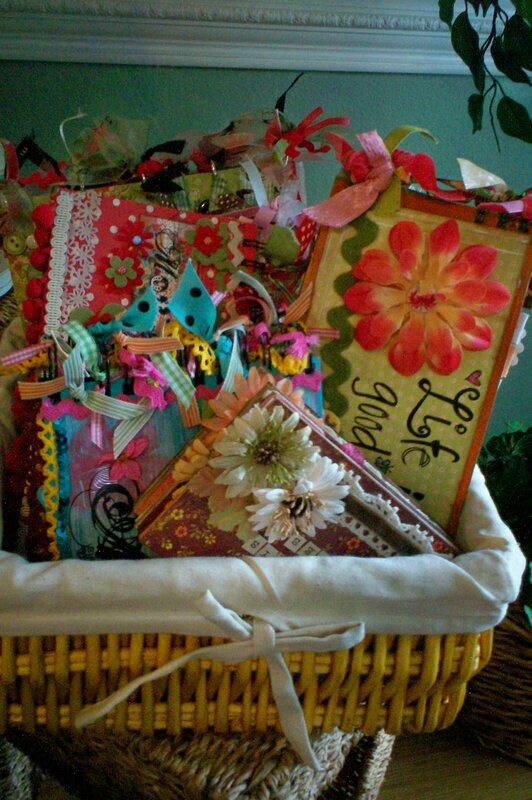 I still want to scrapbook an 8x10 size - I love close-up and very big pictures! Great page! Thanks for participating! Just wait til next week's challenge! Ah what sweet girls and their Daddy!!! I am thinking....Layout here!!! I just googled my name and it sent me right to your blog!! Too funny!!! Very nice!! Great idea. Not cluttered at all. Totally 80's. Hi! I was blog surfing today and found your blog. I love what you did with the birds. Very cool! You are really talented. I love your layouts. Thanks for sharing. I am glad I found ya!